A couple of weeks in Japan were eye opening for the “wine interested.” We drank some interesting Sake, all cold, a few local craft beers, and the odd red and white at, I might add, quite inflated prices. There was a tendency towards French wines at the cost of all others, which is neither here nor there, except it was mostly Burgundy and Bordeaux, and, again, I can deal with that, except in fact it was predominantly Bordeaux. And this just made no sense to me; where were all the Alsace whites to pair with Asian foods or “villages” wines that wouldn’t break the bank? Still, it was good all around. Here are some highlights. Sans Soufre, 2013. This is a Japanese sparkling wine, grown and brewed in Japan, made from the Delaware grape. The what grape? Never tasted anything like it. (There is a children’s rhyme used in music theory at piano lessons that references “Delaware punch” which is in fact an alcoholic beverage from this varietal. So you can see my wine knowledge began at an early age.) The SS was effervescent the way cider is, not the way champagne is. Light and bubbly, the fruit raced through your mouth: Pear, clover honey, and cotton candy, midway at the fair cotton candy. Is this a good wine? I’m not sure. But it’s an interesting wine, a provocative wine. We had it as part of a degustation menu at the rather fabulous La Bonne Table in Marunochi, where they serve food mostly from local sources. 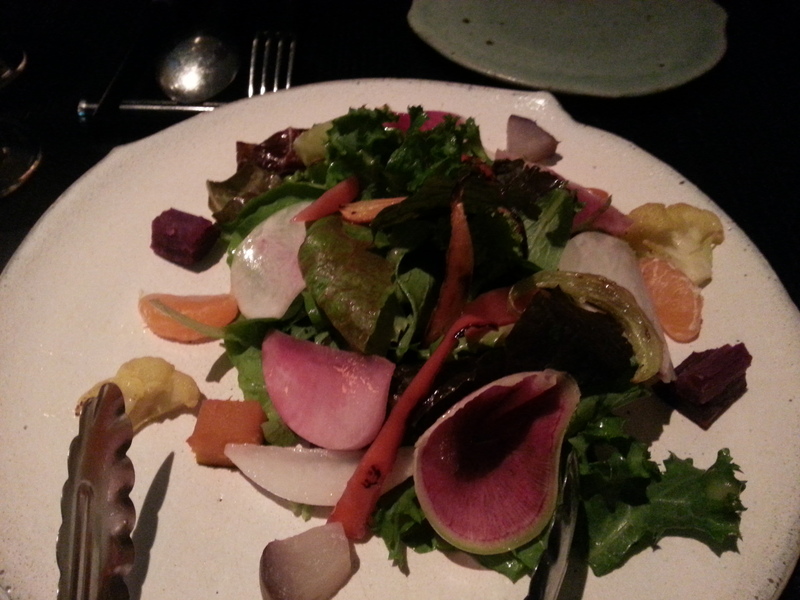 Their salad comes from an organic farm; what arrives in the box becomes the salad. What will become the wine? Anyone who has ever tried to pair wine with salad knows the difficulty. I will confess this was near perfect; it has very little finish. In fact, after you swallow it, it’s like soda, gone. So it acts on the salad the way a sorbet is a palate cleanser. For that alone it’s worth seeking out. And now we have a “Japan” category on BuyingBCWines. Chinon is expensive in Vancouver but it seemed popular in Tokyo. We drank a few white Chinon’s in our travels, the most intriguing a Philippe Tessier Cheverny. Very food friendly. A most spectacular Nebbiolo came to the table as part of a tasting menu at L’As (a small, hard to find restaurant in Tokyo, two sittings, no menu, seven courses set menu, with a $50 wine degustation on offer including champagne—no regrets!). Back in Canada, most drinkers are accustomed to Masi Campofiorin. 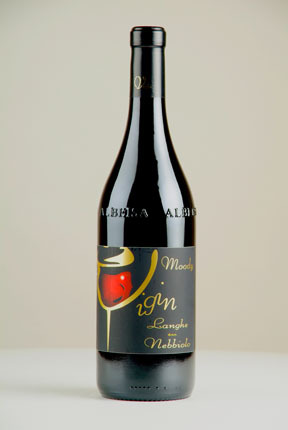 So, then, most Canadian drinkers are accustomed to Nebbiolo which does not have a lot of character, just being a drinkable red. 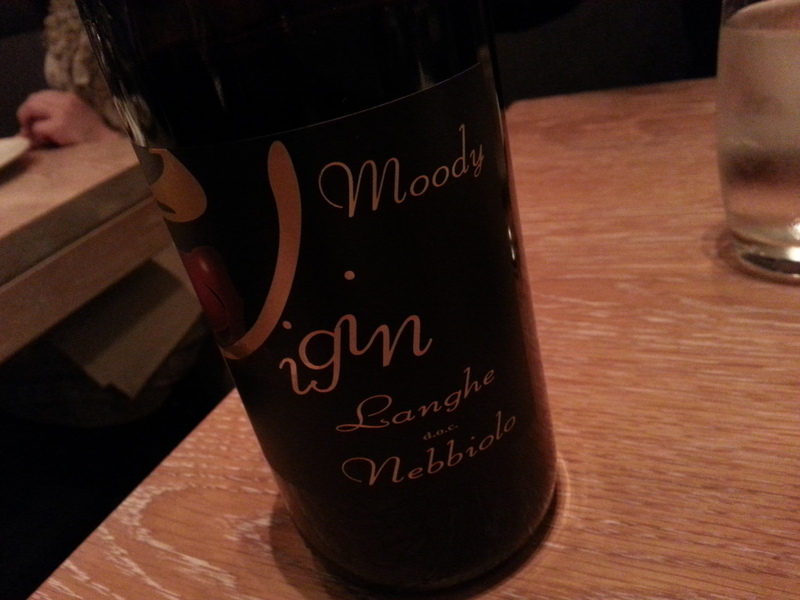 Vigin Langhe Moody Nebbiolo. (Vigin, not a typo.) I sourced it on Google for around $20 US. Steal. This was drop your pants delicious over the top. Absolutely all the earthiness and depth you want in a “lesser” Italian red with none of the pastiness and coarse edges I associate with cheap Barbaresco and Chianti. It probably wouldn’t give Mr Parker any wow factor but I would buy it by the case for friends; there would be nothing but great conversation all night long. 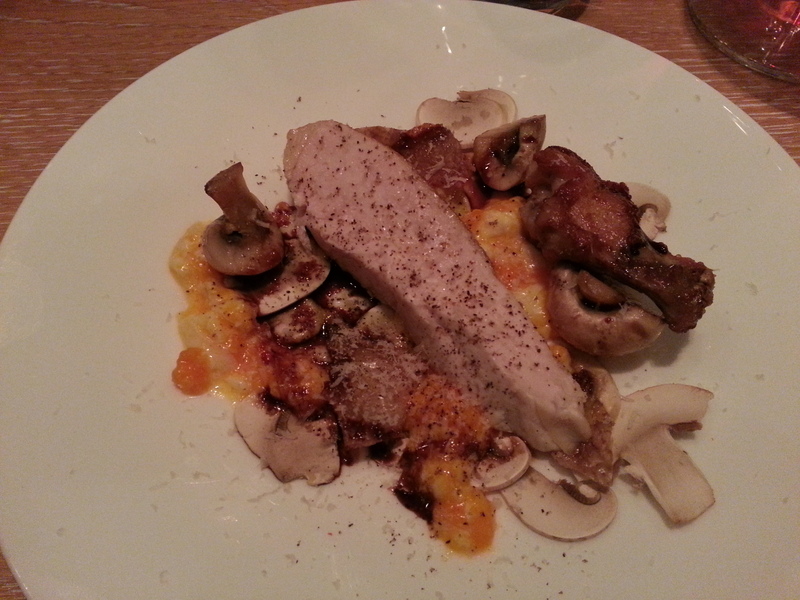 With a crispy roast chicken and root vegetables this was the icing on the cake to an exceptional meal. Except two desserts followed. In 2002 we ate at a great restaurant in Sydney called Salt. Still remember the space and the dinner. We noticed that as is the trend with star chefs, Luc Mangan has opened a Tokyo Salt. The space, on the sixth floor of a modern mall, is nothing to write home about, the decor weirdly out of synch with the food. 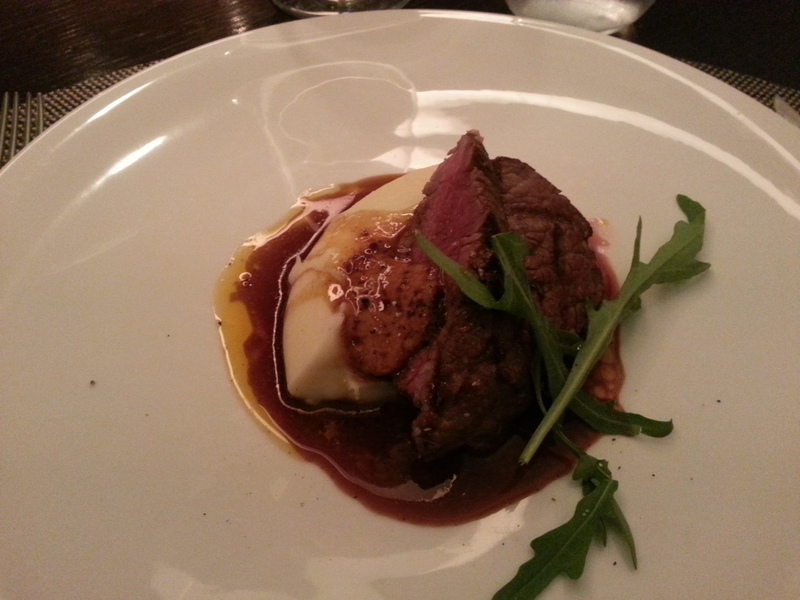 But the food is quite good and hearkens back to Oz with just a little less punch than a western diner might expect. 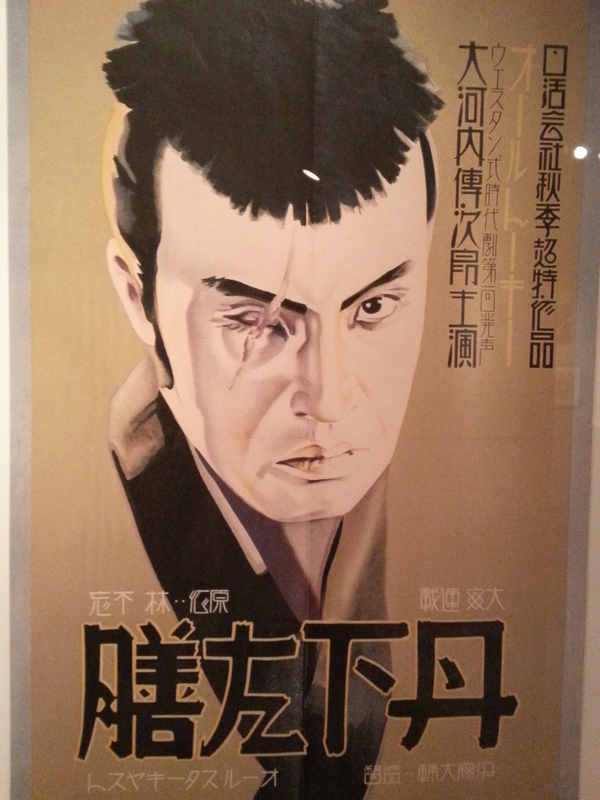 We found the Japanese are particularly sensitive to spice. At any rate, the wine list at Salt is gorgeously Australian. 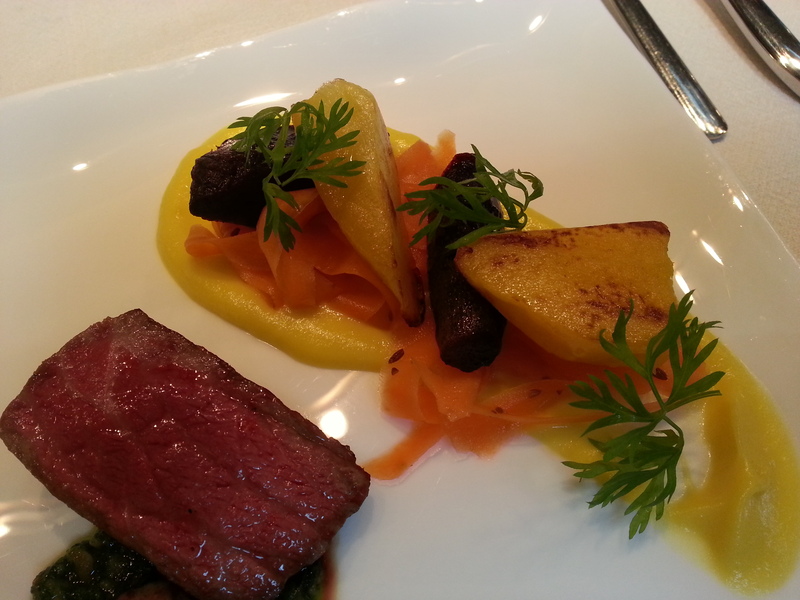 FINALLY a restaurant not top heavy in Bordeaux. They served Leeuwin Brut by the glass–how wonderful is that? Wish Leeuwin sparkling was available in BC–and a few bottles from Elderton. The first place I ever tasted Elderton was in the Blue Mountains at a high end lodge. I have found since an uneven character to their reds, but their Barossa Estate Shiraz is a thing to behold. At a super reasonable price. Everything Wine in Vancouver often has some kicking around. 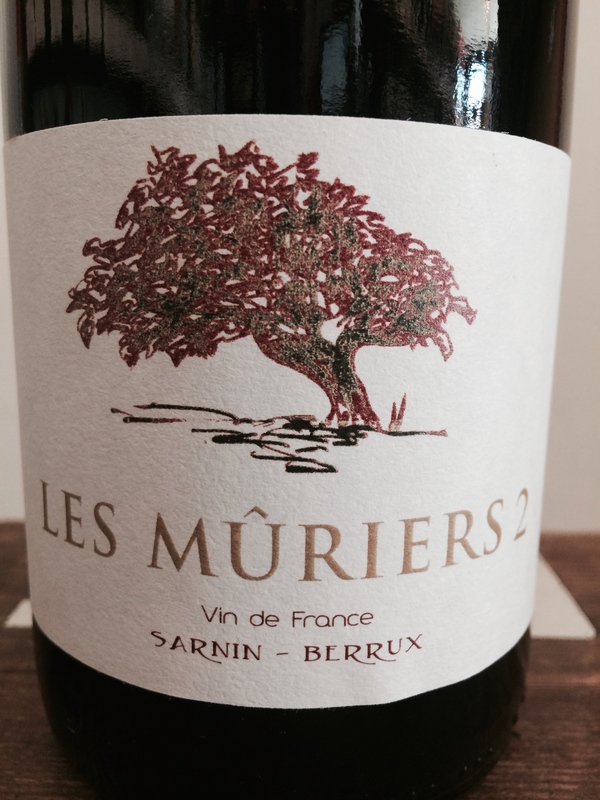 The last intriguing wine we had (well, we had a lot more, and some were great, but most were predictable) was a biodynamic Grenache from Sarnin-Berrux, Les Muriers 2. Ah Burgundy, let me bask in your arms… Again, this was part of a degustation menu and it expertly paired with lamb, juicy, round, full, luscious. 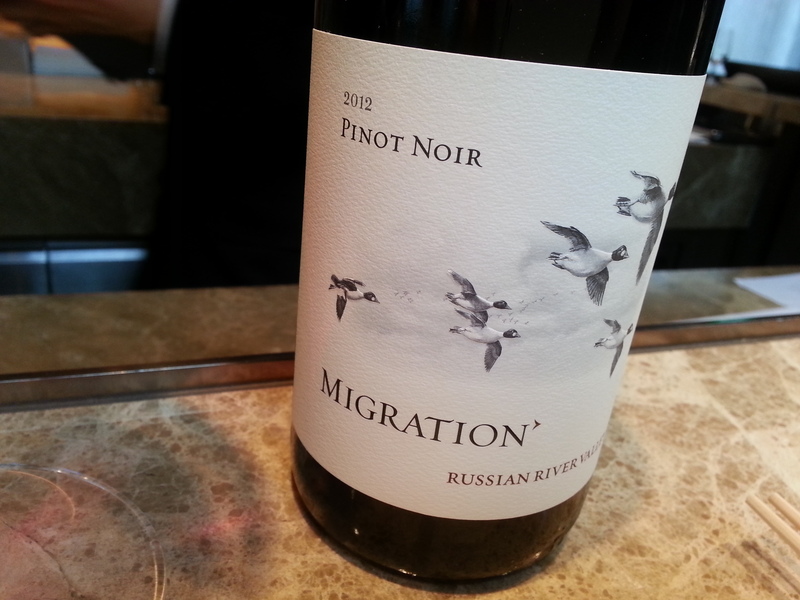 There was a trend amongst the younger chefs to have wines reflecting their cuisine. This was non-filtered, hand-harvested, indigenous yeast fermentation. Often with Grenache you get that leather-forward aggressive palate which can be perfect, it has its place, but this was softer and gentler and lovable like a favorite shirt. Not a chance in hell you’ll find this in Canada. Our loss. The winemakers are interesting and worth checking out. Here’s an interesting blog link. Jean-Pascal Sarnin and Jean-Marie Berrux.